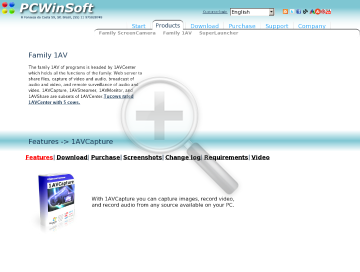 PC Windows Software Download 1AVCapture – video capture your desktop, capture video timestamp, pc desktop capture software, capture webcam from internet, video time stamp software, .. Capture and record anything you can hear or see on your PC. It doesn’t matter if the video you want to capture comes from your webcam, the PC desktop, from your TV tuner, or from inside websites or media players. 1AVCapture also records audio from any source including streaming audio, CDs, audio from DVDs, games, and voice. 1AVCapture supports any external device you can plug into your PC. 1AVCapture is the ultimate audio video capture solution!